B&G Heating and Air is a proud supplier of Amana brand commercial and residential HVAC equipment. The Amana company was first known as The Electrical Equipment Co., founded by George Foerstner of Amana, Iowa and has been making exceptional products since 1934. The brand started with George building a reliable beverage cooler, and later, a walk-in beverage cooler. The company has since then branched out from refrigeration to other fields such as heating and cooling products. Our company has a full inventory of Amana commercial and residential AC units and equipment ready for sale and installation. Our certified technicians are well-versed with the Amana brand air conditioning and heating line, they will install, repair, and service your Amana AC units. 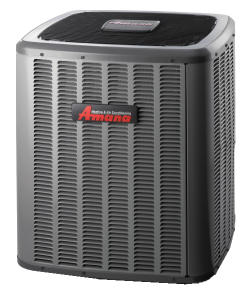 In combination with Amana, B&G Heating and Air is dedicated to providing our commercial and residential customers alike with the very best AC units and quality service. Whether it's for a business or a home, we want to ensure you have superior equipment and the proper heating and cooling your establishment or home needs. As a service provider for Amana, we uphold their standards of quality and values. We are proud to install and repair Amana HVAC systems because we know it is the among the best in the industry. B&G Heating and Air strives to be the best installation, and repair service in Jacksonville, FL. We will make sure your air conditioning unit is well serviced so you can stay cool in the summer and warm in the winter.